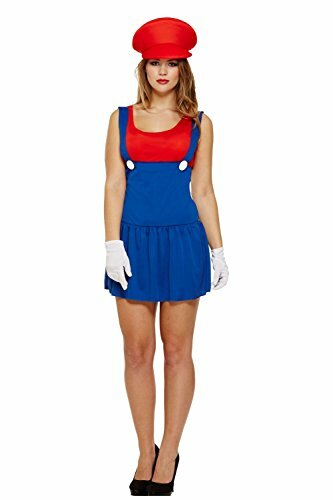 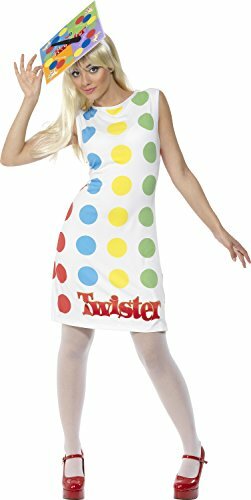 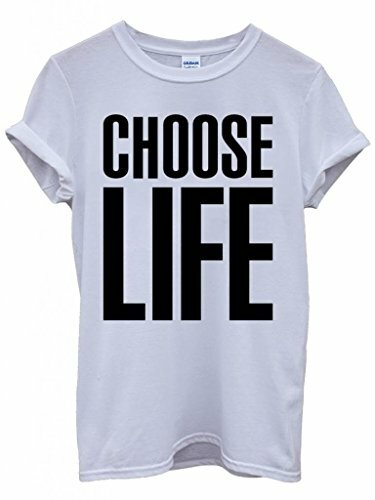 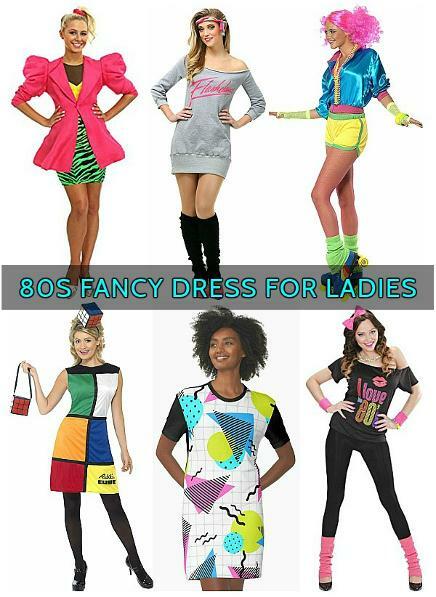 Welcome to the biggest choice of 80s costume ideas for women in the UK. 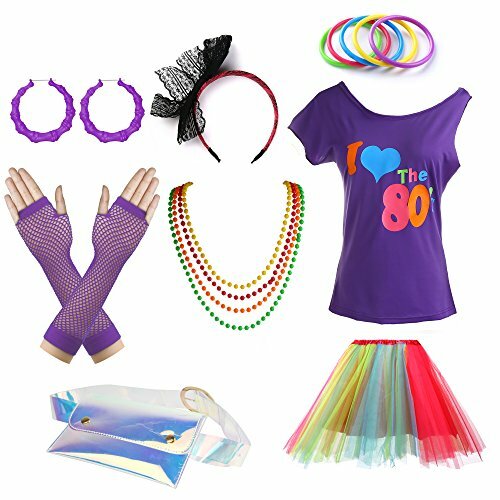 In this section you will find a wide range of ideas, with themes including pop stars, TV shows, cartoons, superheroes and more. 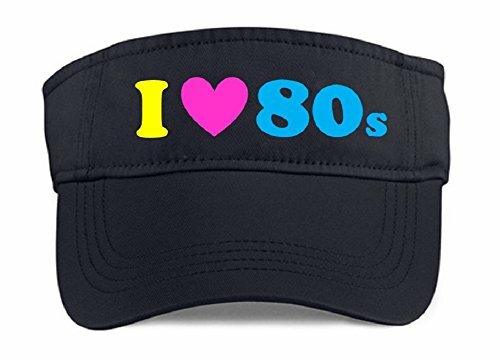 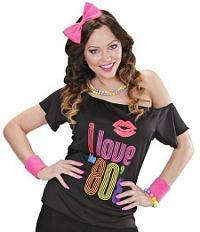 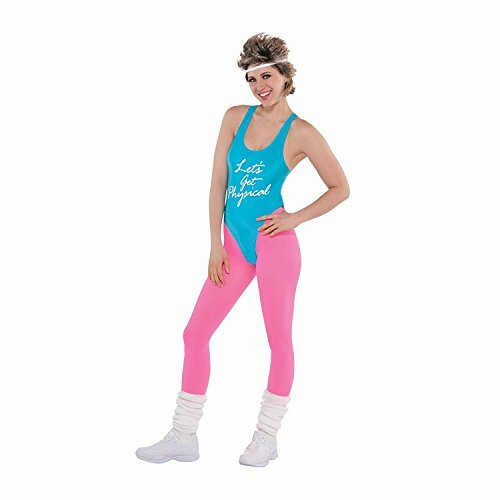 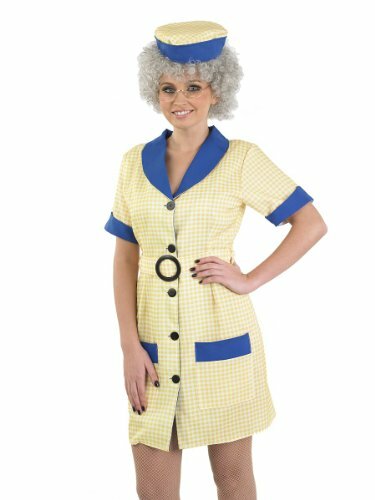 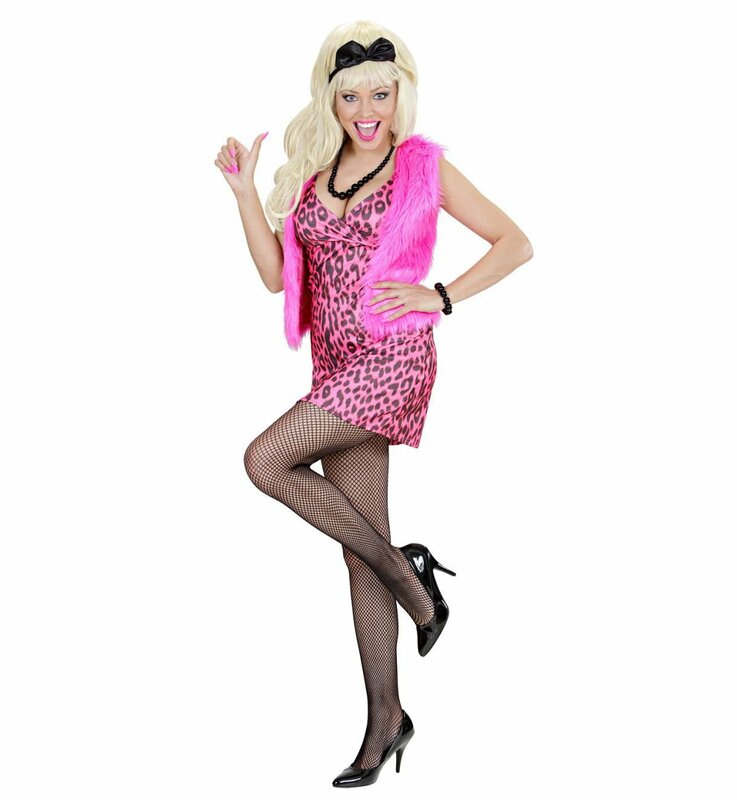 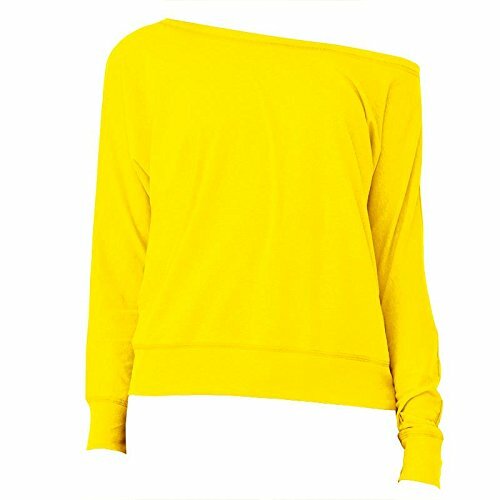 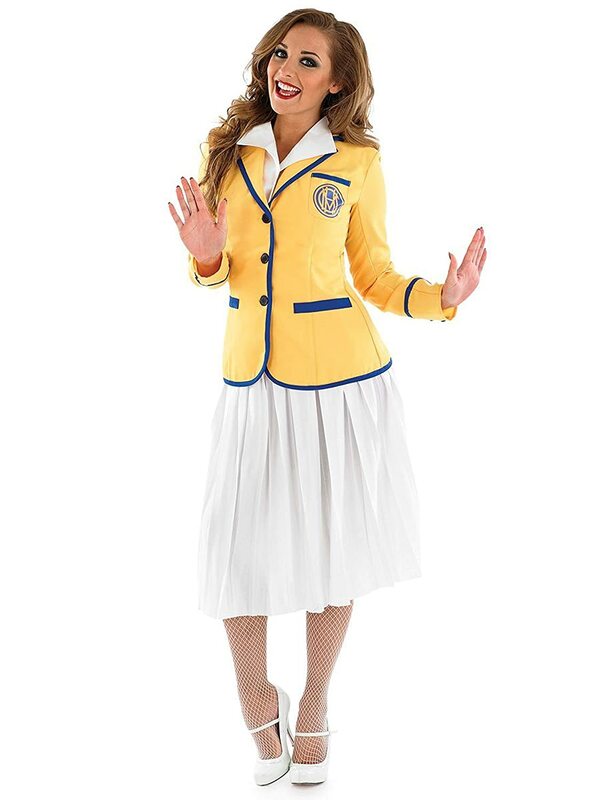 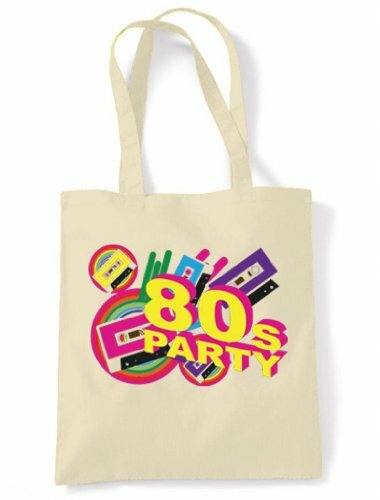 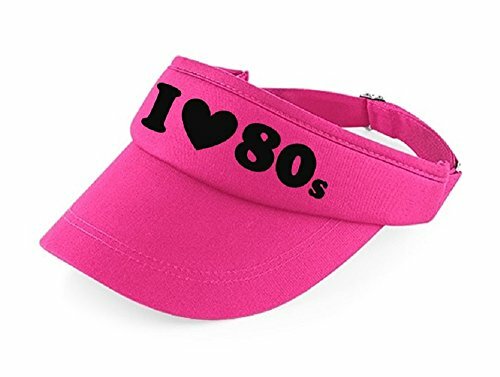 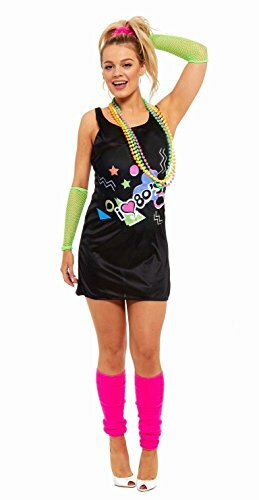 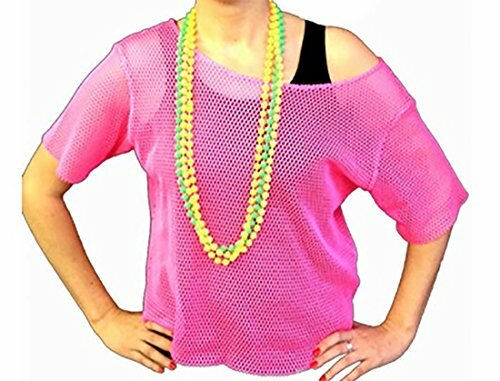 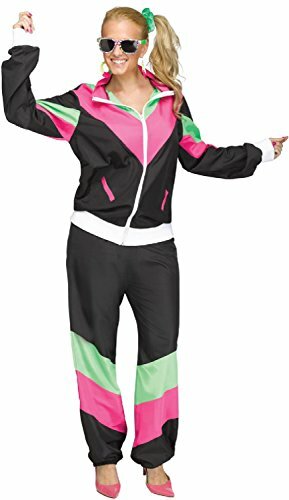 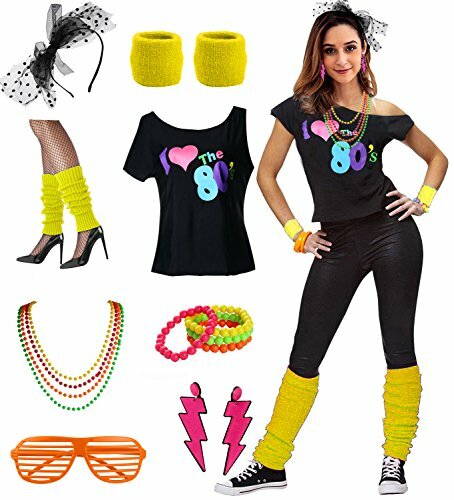 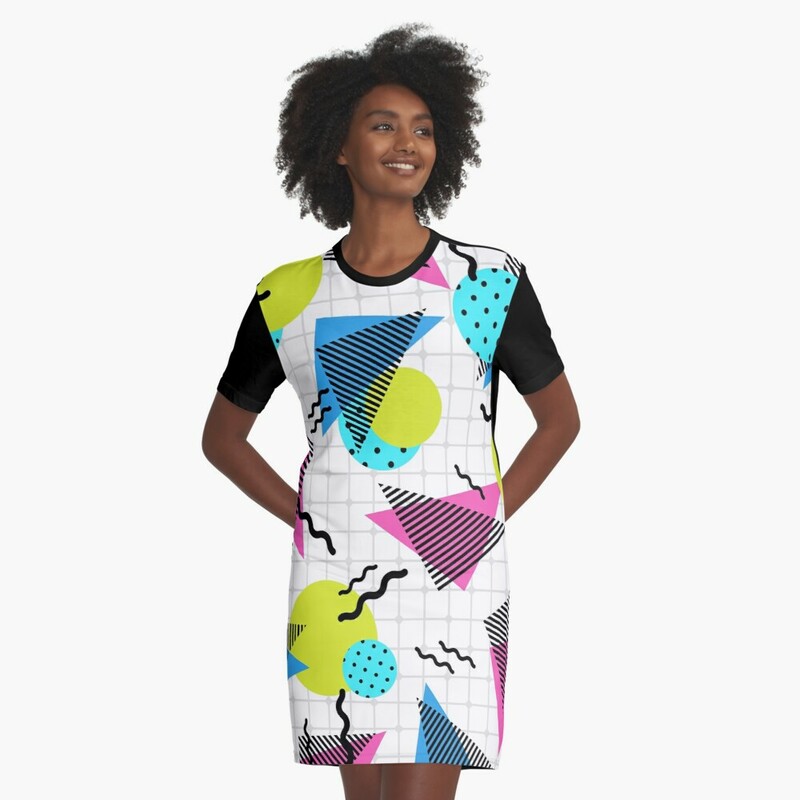 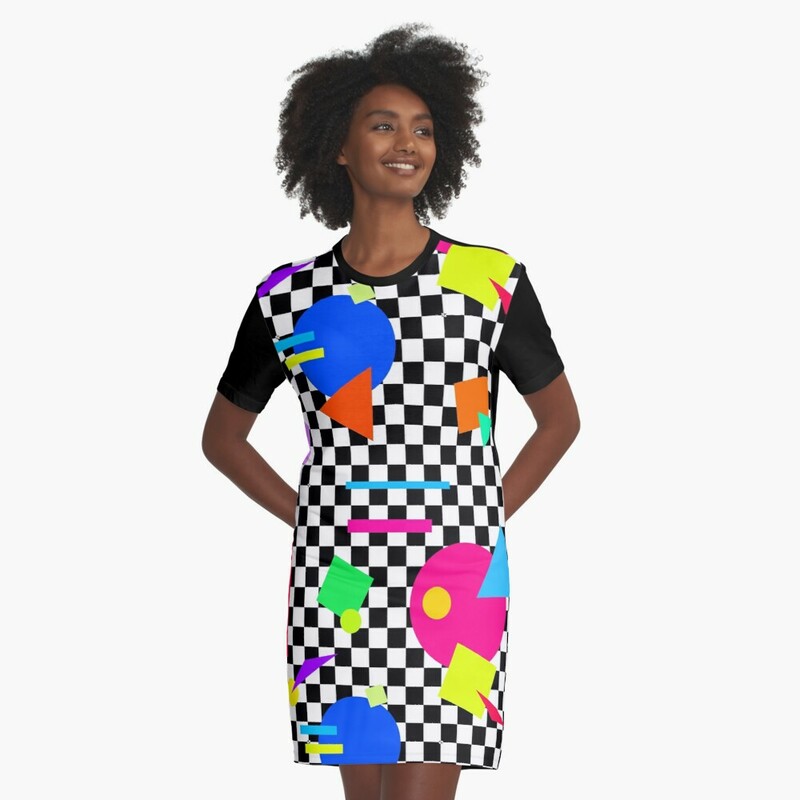 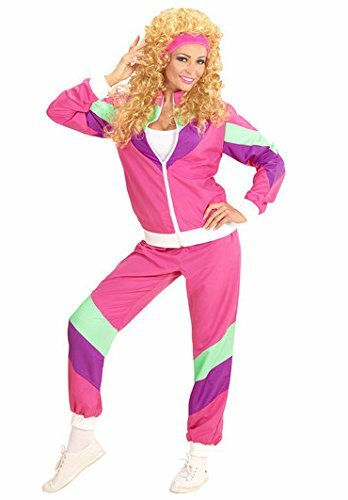 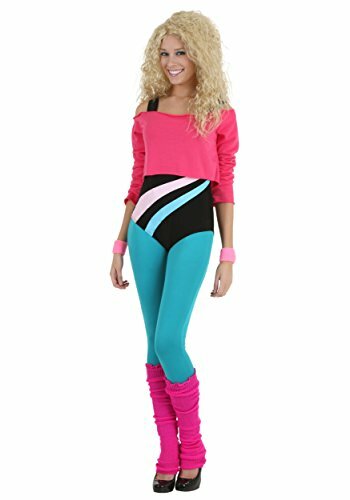 You'll find oodles of women's outfits which are ideal for 1980s themed parties, events and festivals, as well as charity fun runs and hen nights. 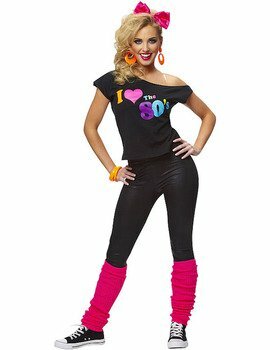 Go back to a time when big perms, shoulder pads and leg warmers were all the rage. 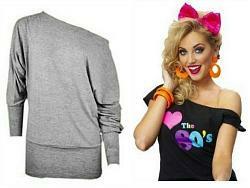 You'll find everything from a puffed sleeve dress to a shellsuit. 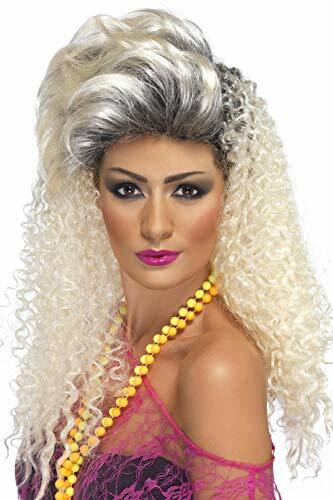 Choose to look like Cyndi Lauper, Madonna or even She-Ra Princess of Power - the choice is entirely yours! 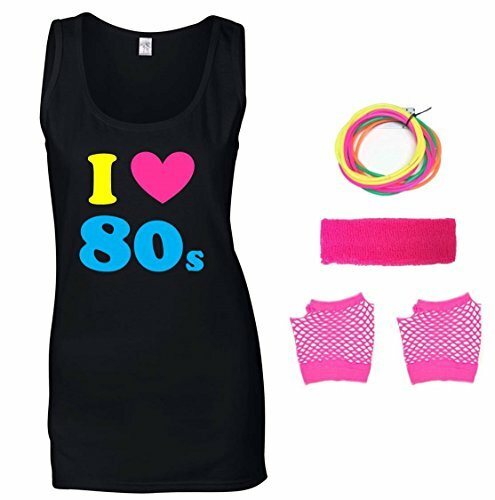 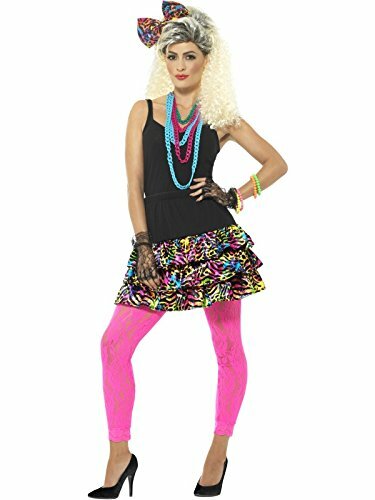 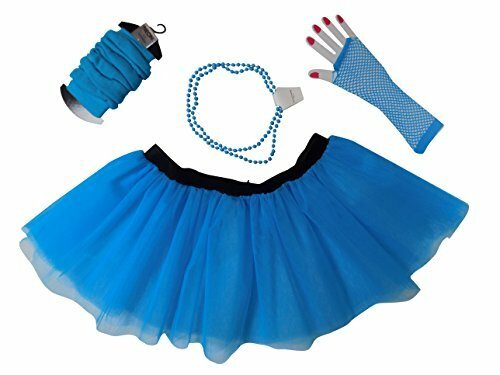 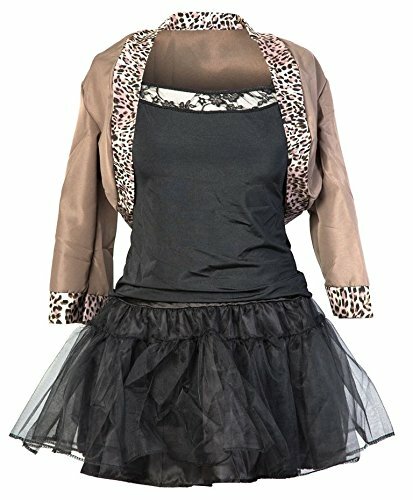 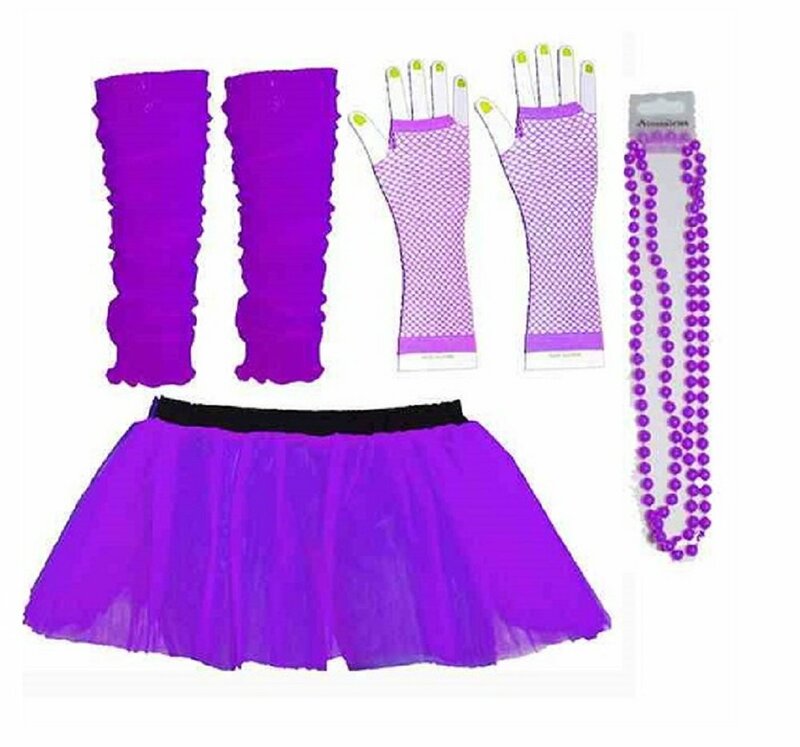 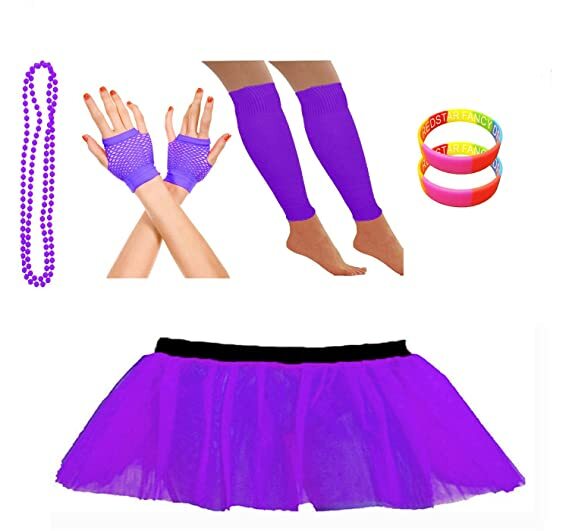 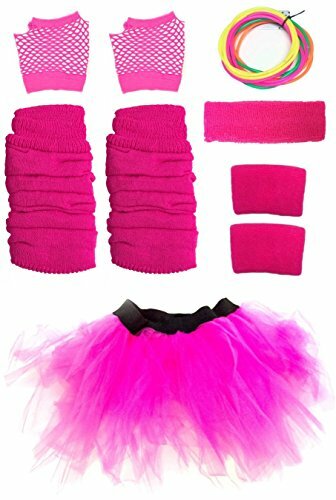 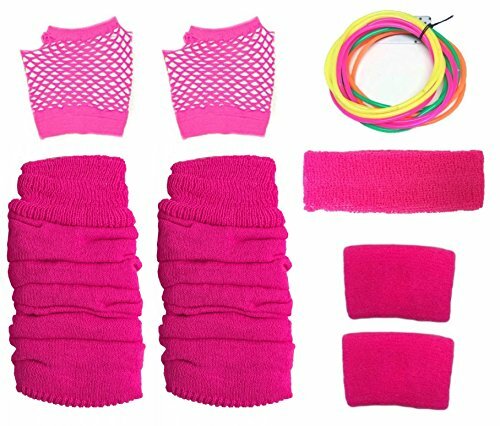 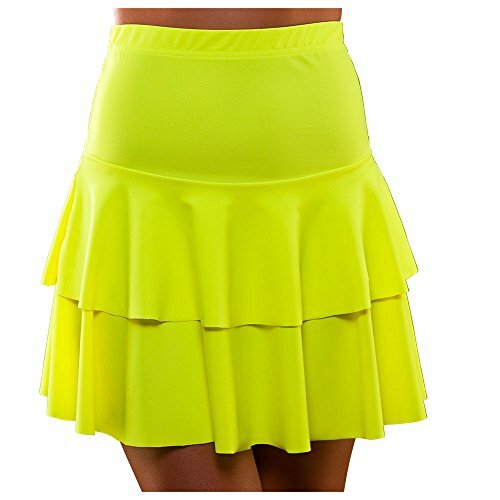 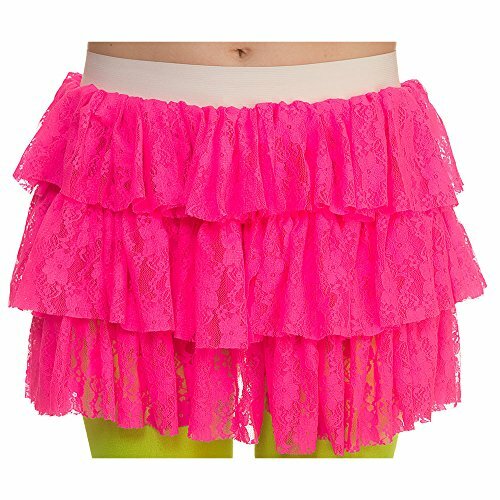 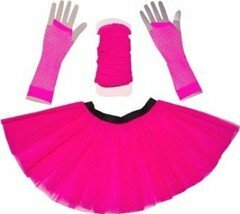 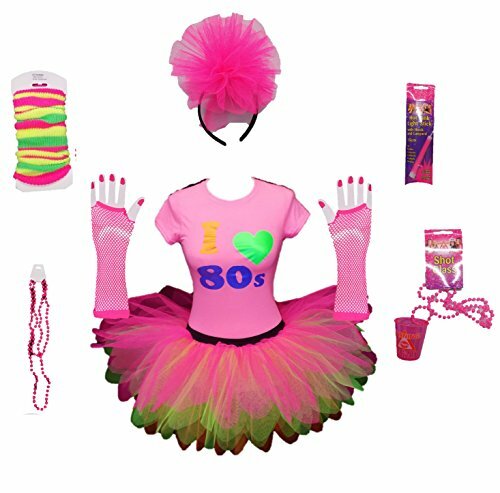 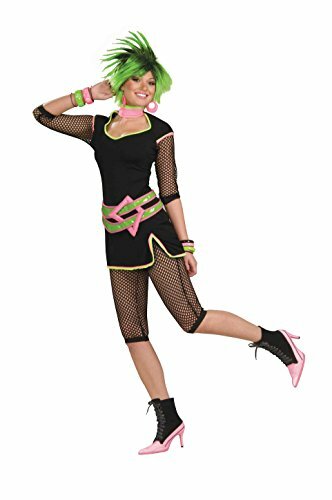 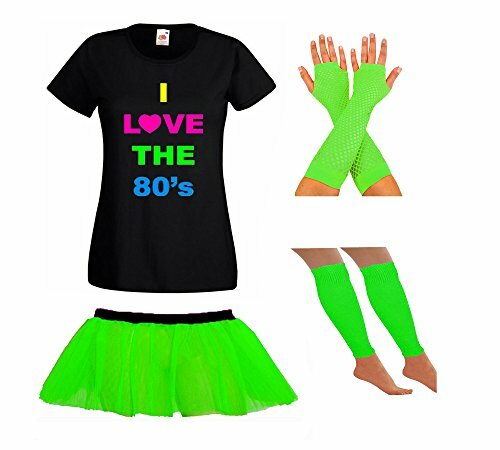 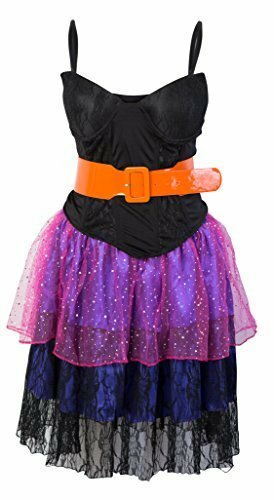 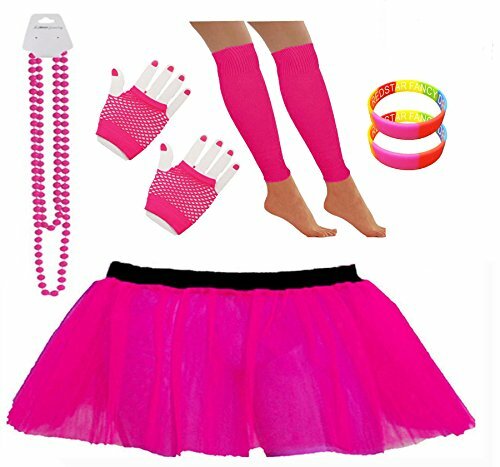 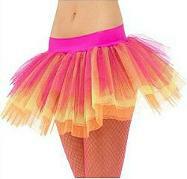 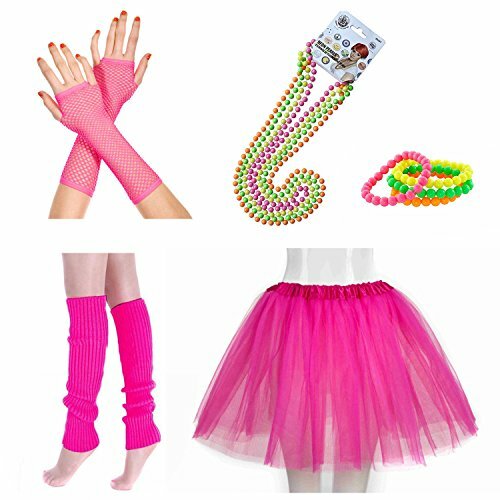 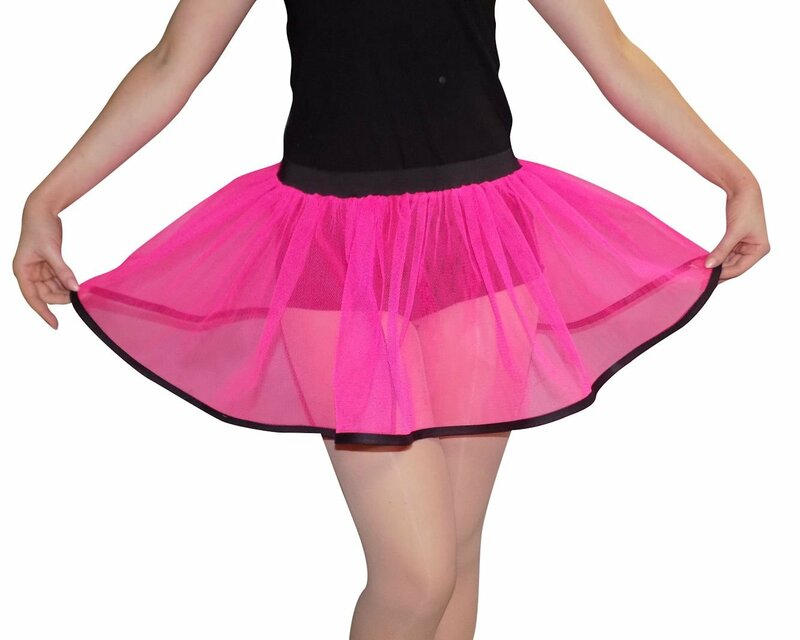 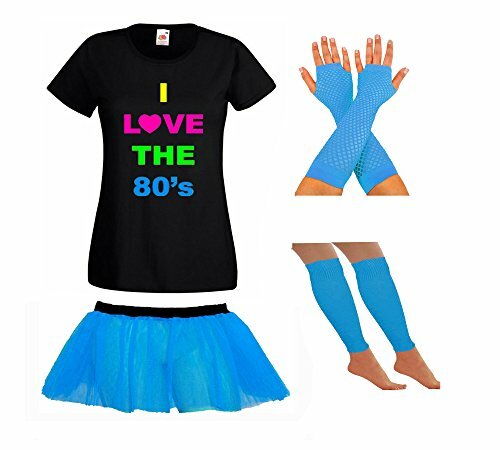 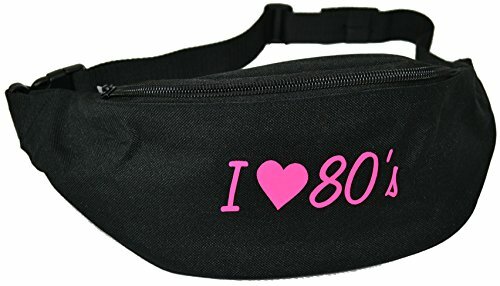 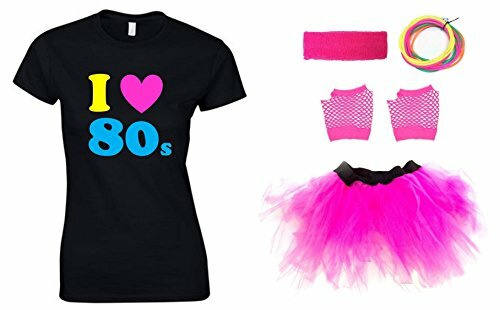 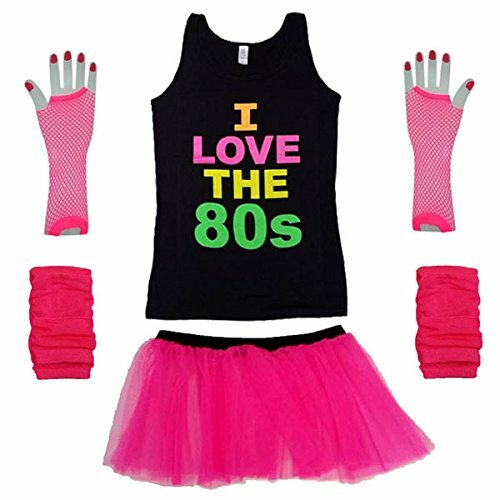 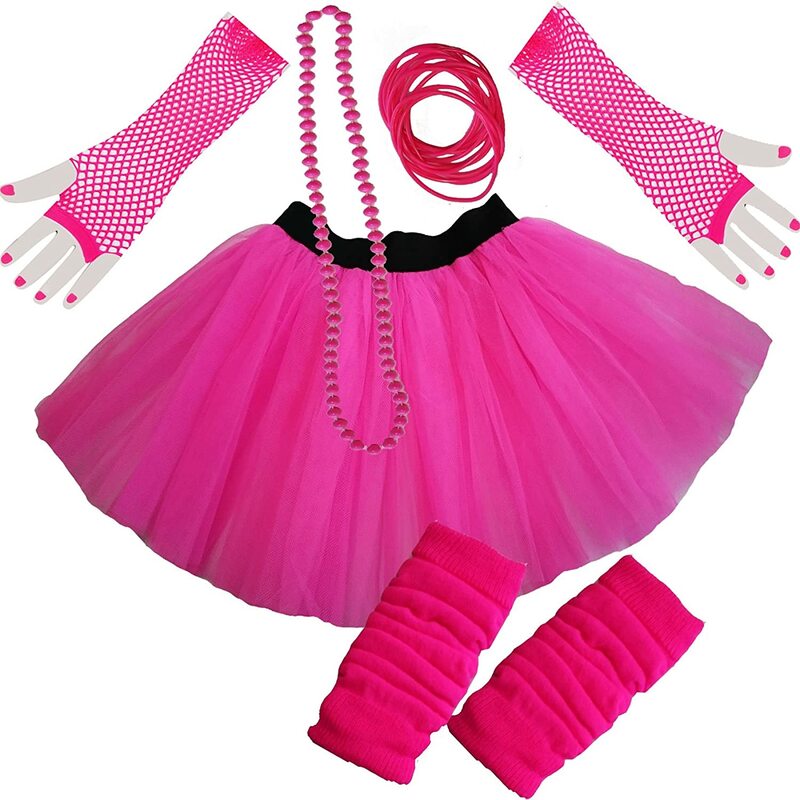 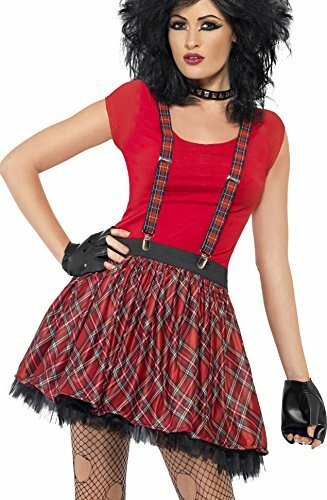 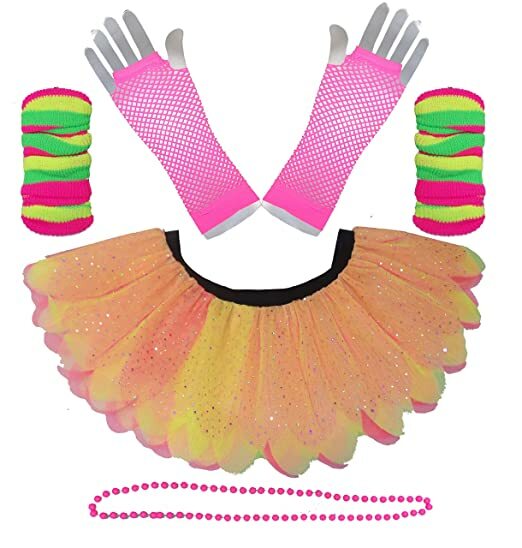 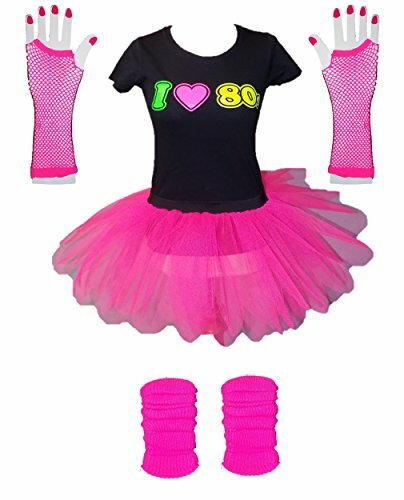 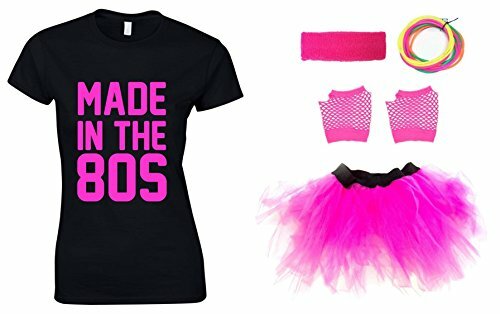 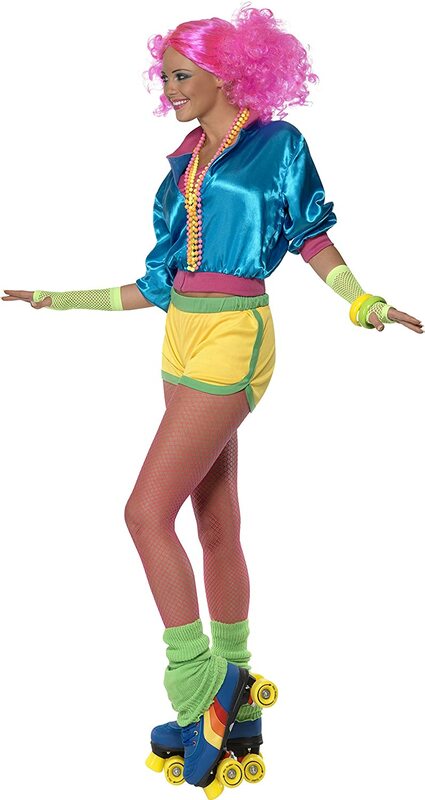 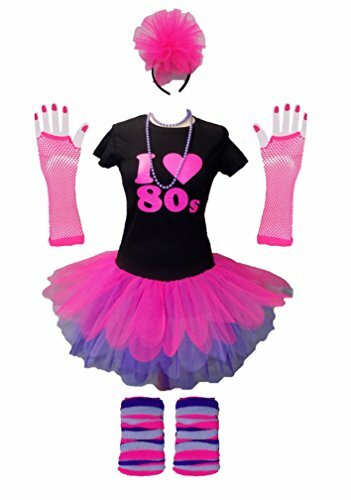 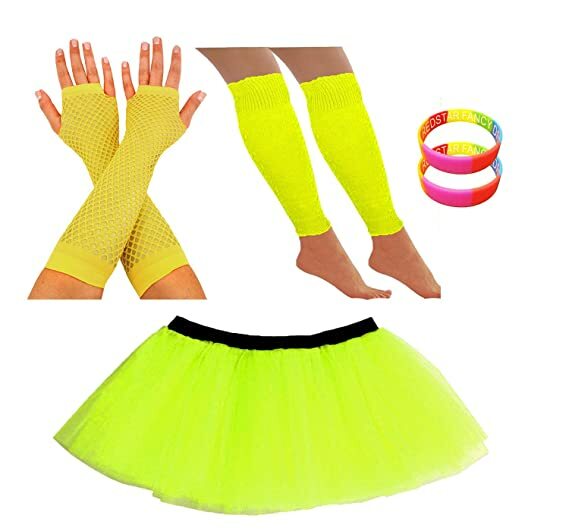 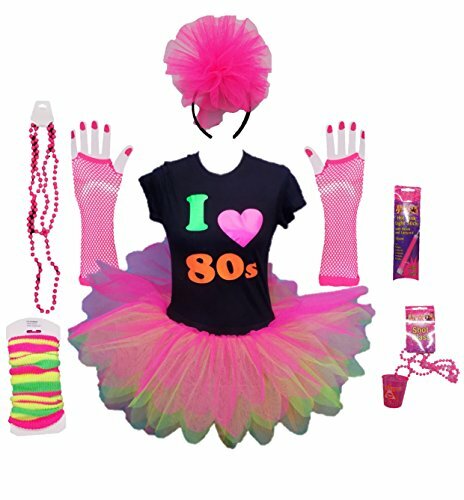 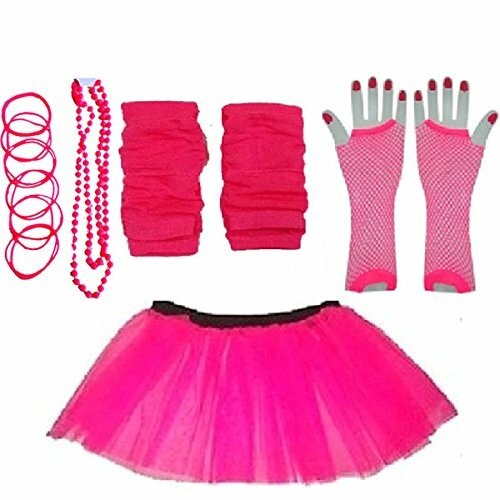 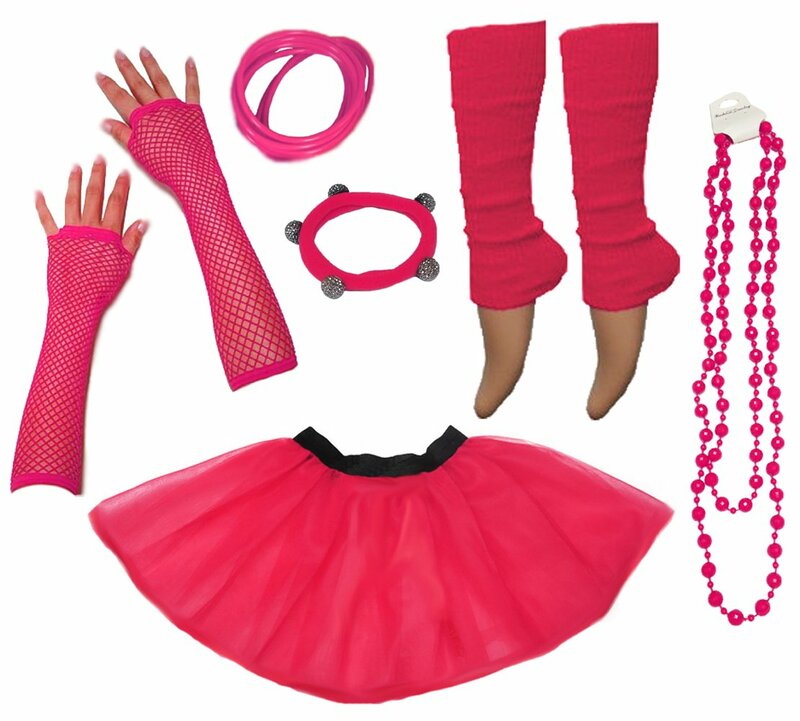 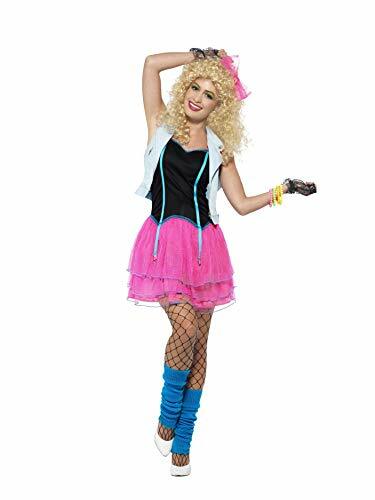 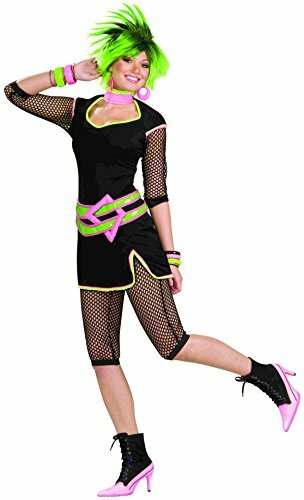 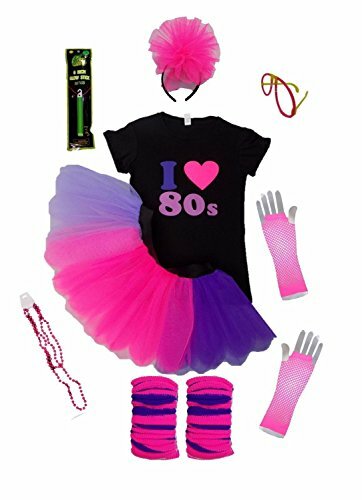 The most popular 80s outfit for ladies consists of a tutu skirt kit and accessories. 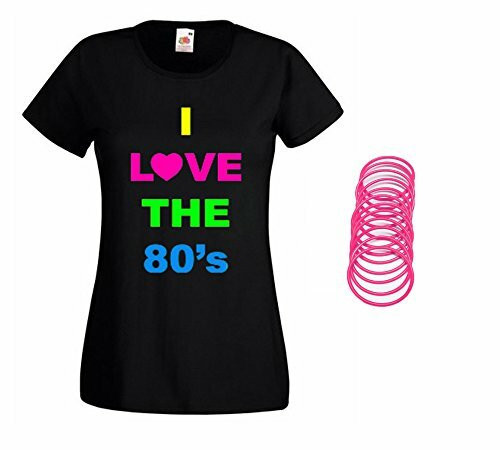 They're quick and easy to wear and some sets include a top. 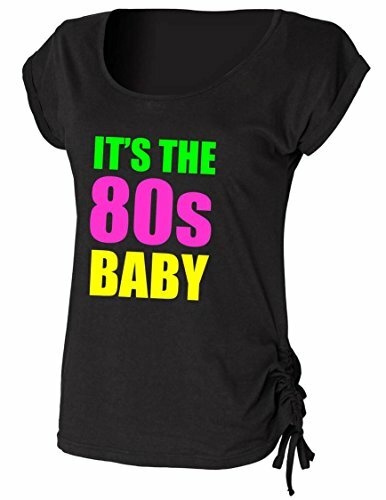 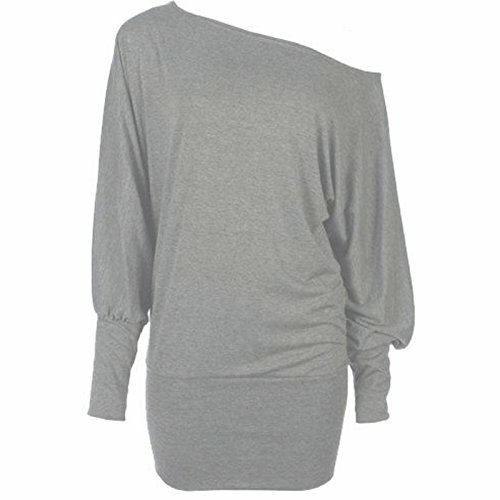 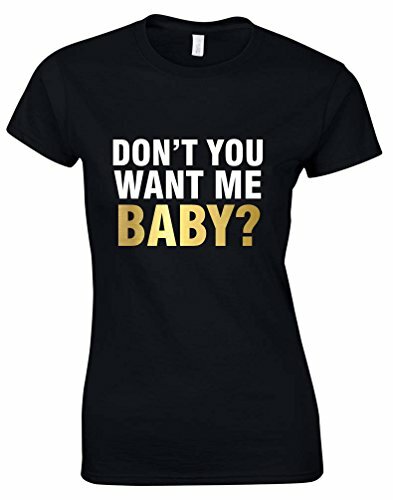 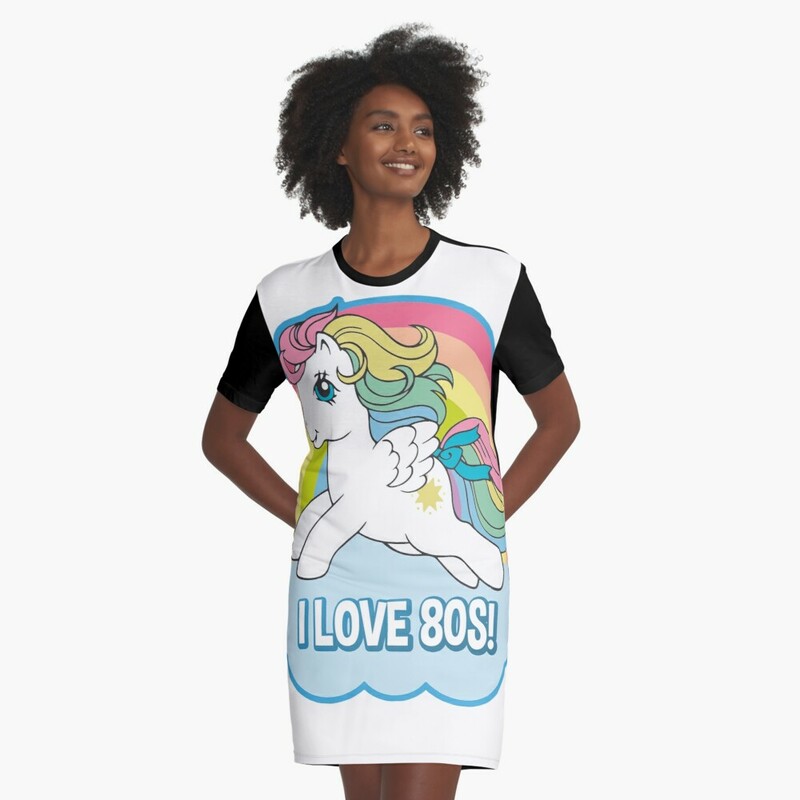 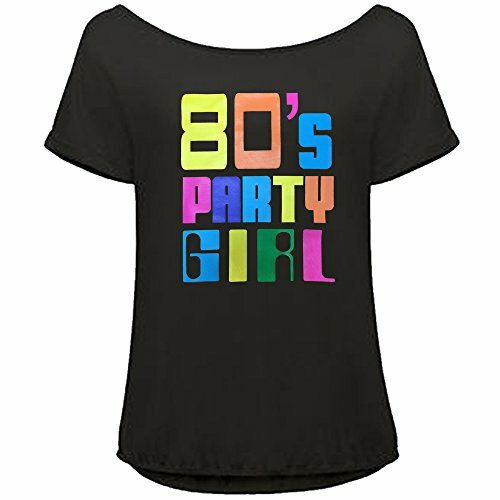 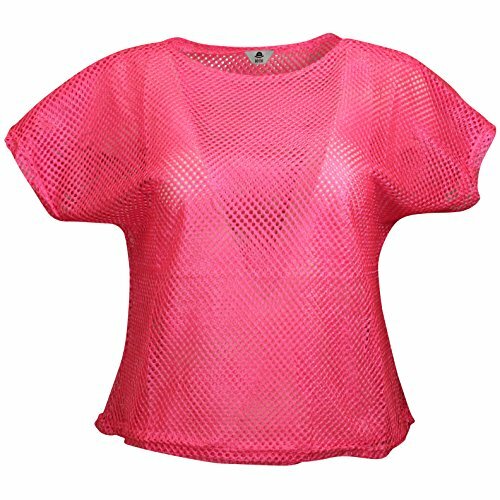 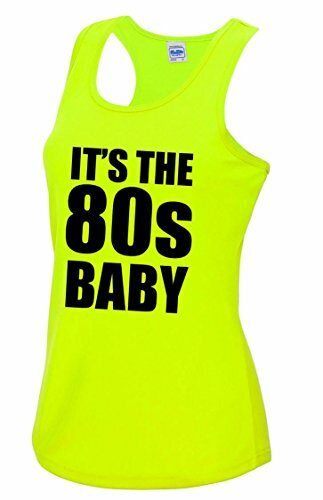 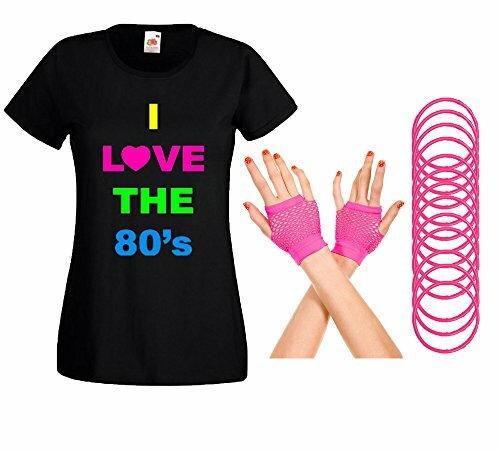 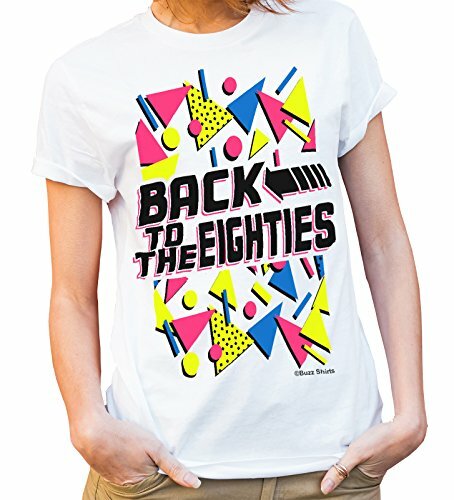 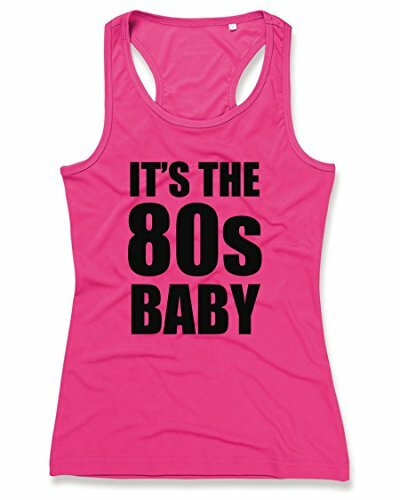 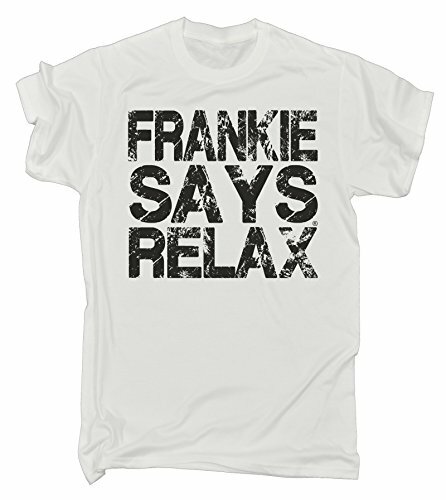 You can choose from a wide variety of tops and tees in our 80s T-shirts section. 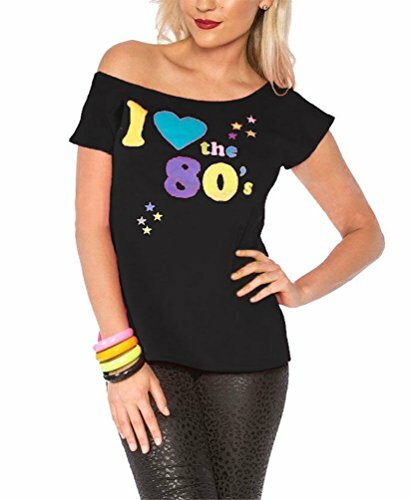 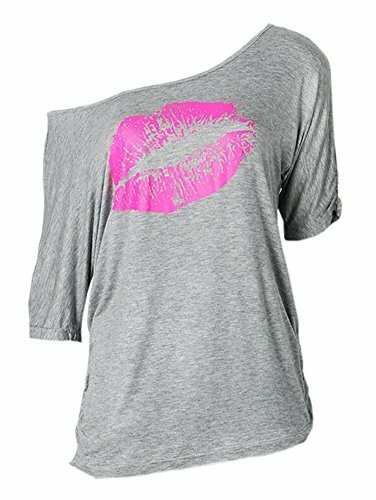 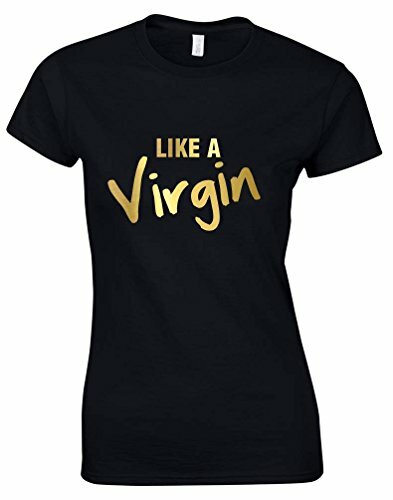 Simplyeighties.com is a participant in the Amazon Associates and Redbubble affiliate programs . 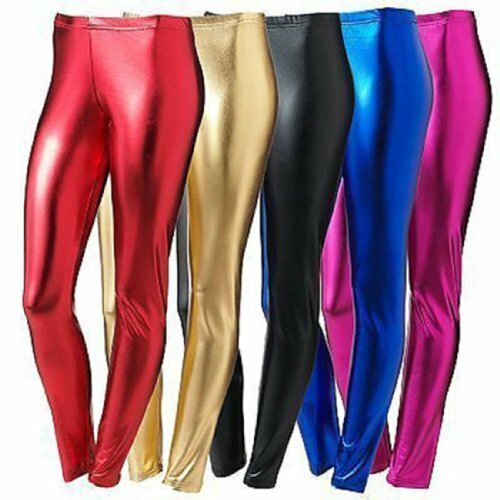 These are designed to provide a means for trusted websites to earn fees by advertising and linking to their products. 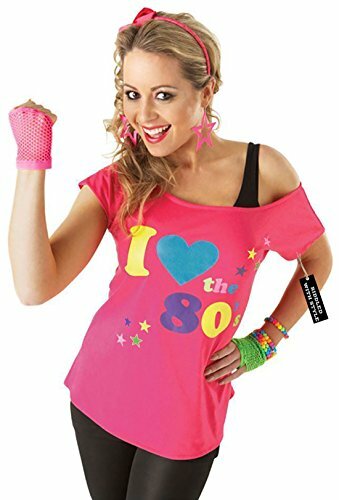 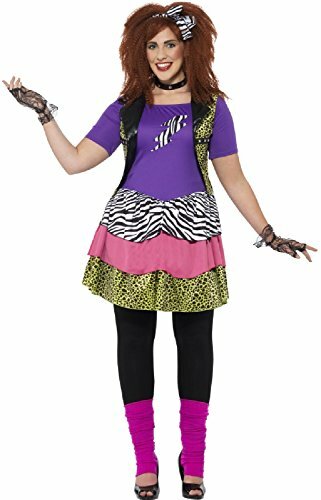 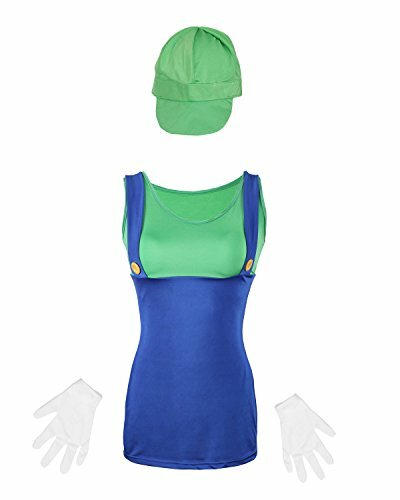 One of the most difficult aspects of buying an 80s fancy dress costume is actually deciding which look to go for - there were just so many looks created in the great decade weren't there? 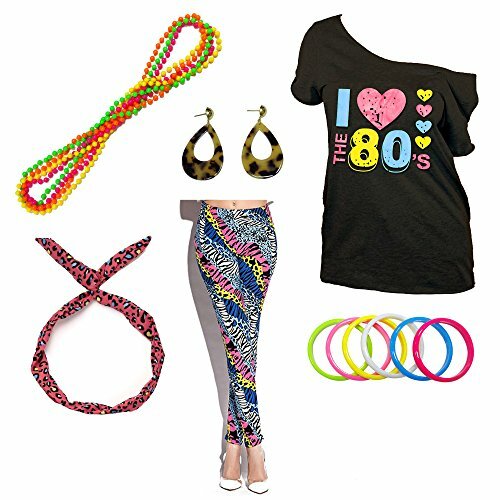 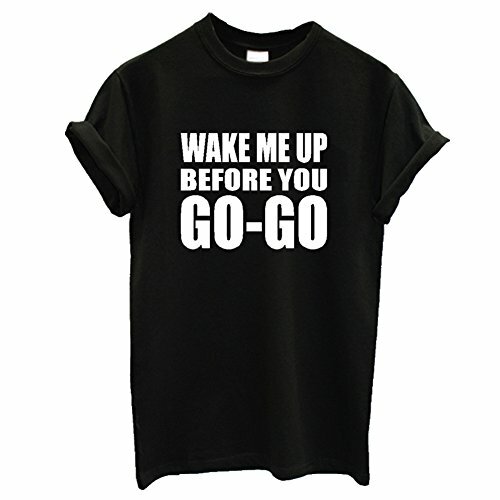 A new fashion trend seemed to start with each new movie or pop video release! 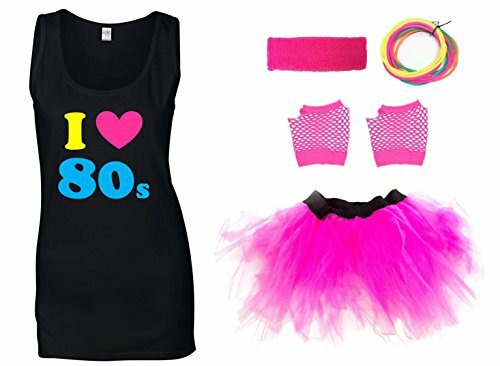 So, will you choose one of Madonna's influential outfits from her film and music video releases - Desperately Seeking Susan and Like A Virgin spring to mind, or how about the more sporty aerobics or cheerleader look? 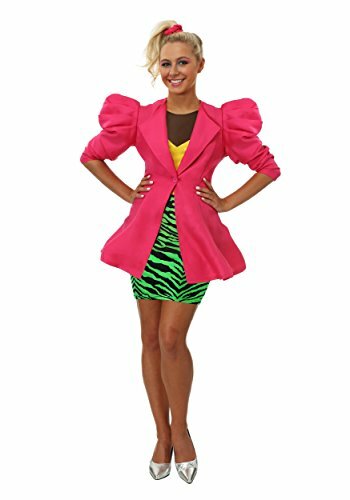 Maybe, you want to relive the power-dressing era with those huge shoulder pads? 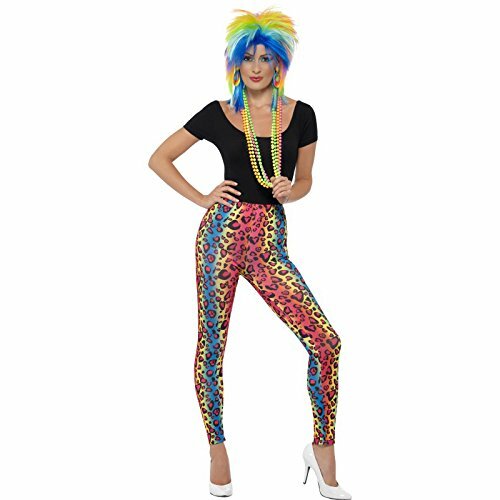 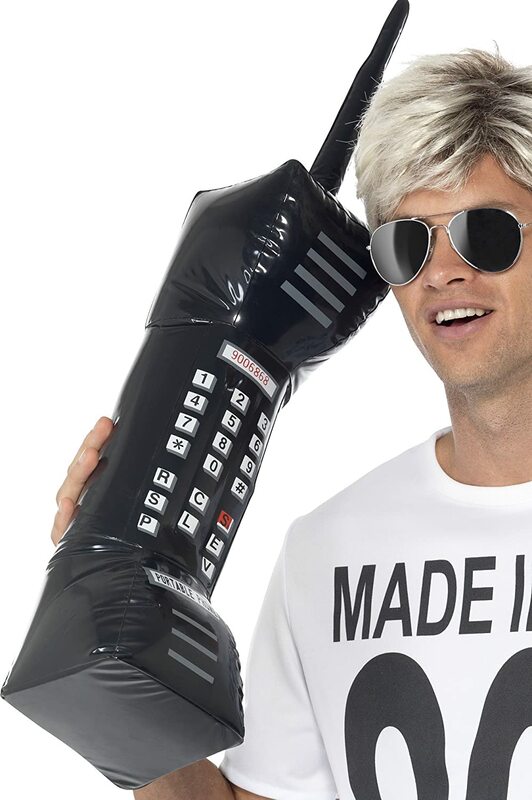 Of course, I can't make the decision for you, but, hopefully, the following pages will help you faithfully recreate one of the many crazy, over-the-top eighties fashion styles. 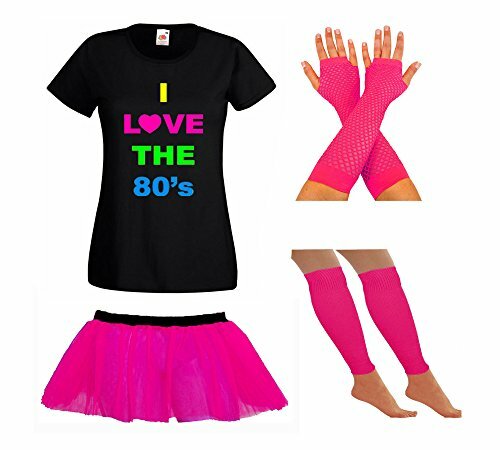 If you were/are confused by it all (I certainly was) then I would recommend visiting our 80s Fashion pages to get a better understanding of the more popular styles around. 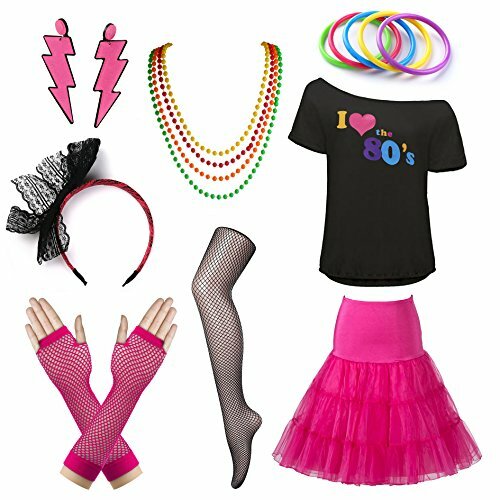 Most of them were pretty outrageous, which makes them ideal for fun dress-up, of course!